HOWDY! It's that time of year again! So far we've made it down to the fair twice in two weeks now. This time Angie decided to try her luck at Lotto rather than the midway, and seems to have a sack full of "goodies". 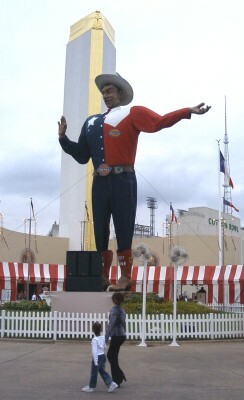 Big Tex as usual seems to be beckoning us to come on over and enjoy a Fletcher's Corny Dog. 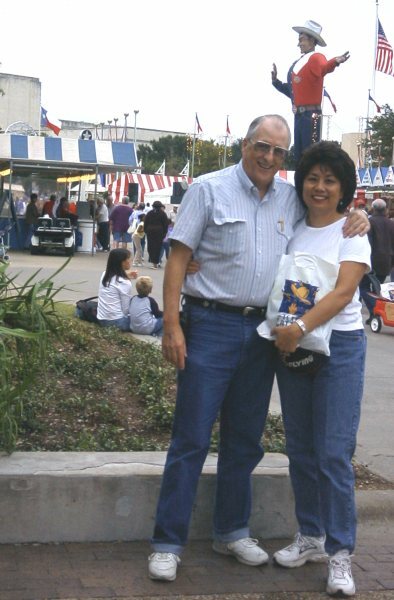 Actually this year, we found that the Corny Dogs across from Big Tex weren't hot, and weren't fully cooked. 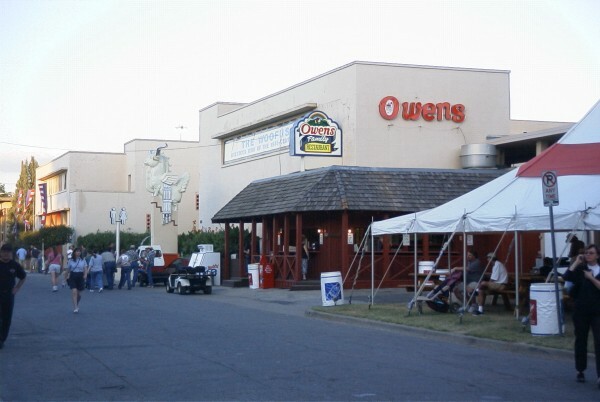 The ones down on the Midway in the original Fletcher's building are better! Yes, we've been to see the Woofus, the wonderful Woofus of .... oops, wrong story! And all the other goodies at the State Fair of Texas. I had my BBQ Turkey leg and Angie's had her Fletcher's Corny Dogs. All's right in the world. Want to see some fun HISTORY? Rent the "Big Show", a Gene Autry western movie based on and filmed at the 1936 Texas Centennial Exposition. 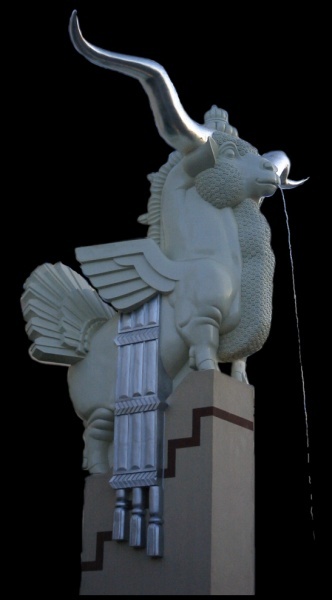 You get to see all the State Fair buildings in their just finished, new state, and on top of that, Gene features the Sons of the Pioneers starring Roy Rogers. Now what more could you ask? And if you're looking for the Woofus, it's right beside Owens restaurant down in the livestock area. Be sure and catch the "Spirit of the Dance" show at the Coliseum too. It's great! I understand that to celebrate his 50'th birthday, Big Tex was officially made a member of the AARP this year. Make you youngsters feel better? He's got some new duds too as you can see here. Everybody's going all out for Tex this year. He's even immortalized in butter, at least until the temperature goes up! 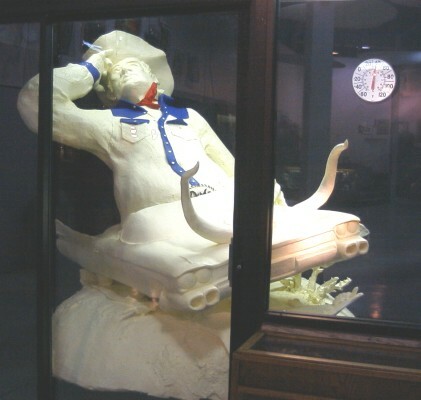 Quite a butter sculpture.